Interested in investing in penny stock but don't know where to start your research from? Read about our top 5 apps that focus on upcoming and existing penny stocks, give you suggestions, contain details information about these companies and can help you make the right decision about investing. There is no domain that is left untouched by the tectonic shift. Technology has brought a tremendous change in the way we used to do accounting, investing, and budgeting. There are several apps that can help the millennial generation to keep track of their finances and investment. Here, we have enlisted some apps that can provide the investor assistance in the penny stock trading. But before that let's understand what penny stocks are and how many returns they can offer to the investor and the precautions that the investor needs to take. A penny stock is a stock with a significantly low value. In India, the stocks which trade below Rs 10 come under the category of the penny stocks. These stocks have low liquidity and can be easily manipulated. 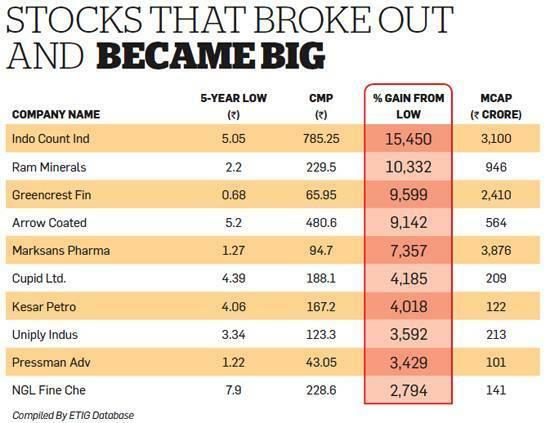 Since these stocks do not provide detailed disclosure information, so people fear from investing in these stocks! It is said that the big things come in a small package, so a penny stock can easily multiply your wealth provided you are able to understand the nuts and bolts of the stock market. Let's take an example, Bajaj Finserv, a wholly owned subsidiary of Bajaj Finance was once a penny stock that started with a face value of Rs 4.5 per share in 2003, and it transformed itself into the large-cap stock in the 15 years. With the market capitalization of 100,000 crore, this stock delivered 37,000% returns. Investing in penny stock is not a bad idea provided the investor is wary about the fundamentals of the company. Hope the above-mentioned example has changed your perception about penny. So, now that you are interested in penny stock trading, there are some apps that can help you to trade in these high-investment bets. The app has been designed for the hard-core stock investors who want to remain abreast about the latest happenings in the stock market. In this app, the investor will get access to the quotes at which the stocks are trading, futures, currency exchange rate, and a lot more. The app help the investor to keep track of their investment and is loaded with several features like it provides real-time information about the stocks, lets you trade without any delays, and the investor can directly access this app without the need of a middleman. Apart from that, the user interface is quite friendly, the app is light in weight and the investor can monitor his investment portfolio frequently. Though the app offers comprehensive information about the stocks, the users have complained about the frequent crash of the app and small fonts. Hope the developer will look into this matter. Rated 4.4 on Google Play Store, this app is not meant for the seasoned investors. The app uses real-time market data to help the beginners to enter into the field of stock investment with courage. It provides them with a step by step instruction on how to invest wisely. This virtual app is very useful for the wealth generation. The app is meant for the investors who want to test the waters before investing in the penny stocks. 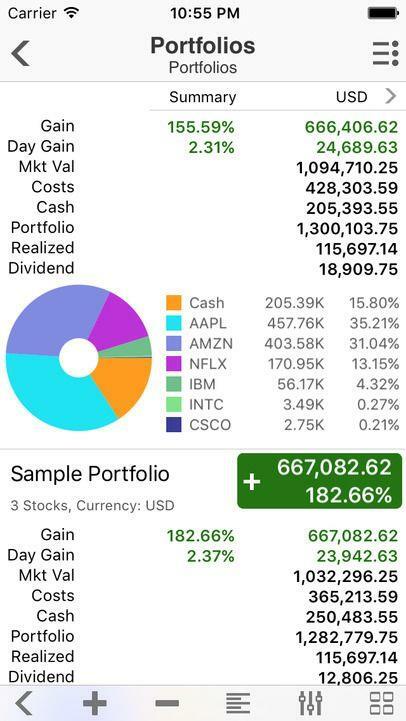 If you are new to the penny stock market universe and want to become an expert, then it is advisable to try this app before investing the money. It is nothing but a simulator app that provides you real-time experience on how much the wealth can be generated. The app doesn't provide information about stop/limit trading. Though the penny stocks are risky, the investors who have trusted their intuition and got the bets right have made a handful of money in the year 2018. As many as 20 stocks enlisted on NSE have shed their penny tag by offering double-digit returns to the investor. The stock market app further helps the investor to know about the top gainers, quality penny stock along with the historical liquidity. 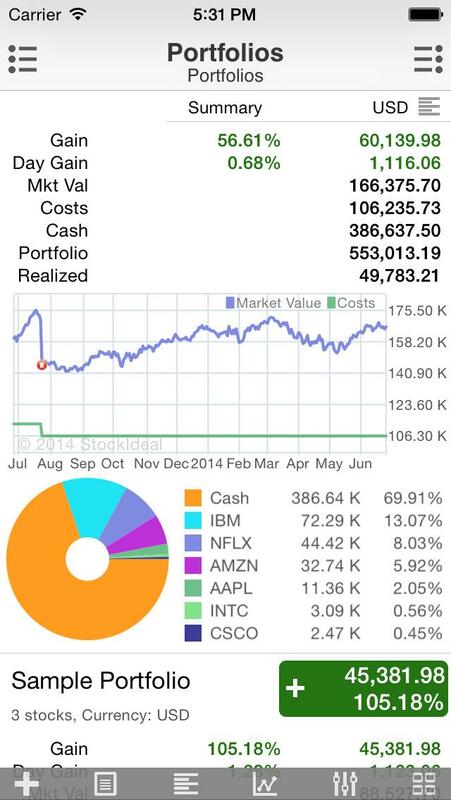 The app offers the detailed information about the penny stocks and even a beginner can learn from it. Starting from the technical charts to price quotes to the notification, everything is available under one roof. You can even link your reading account with app with which you trade stocks on a routine basis. There are certain investors who complain about app crash after upgrading the app. Rated 4.3 on the scale of Google Play store, this app is available on Android on free of cost basis. The app provides detailed information about the US Stock market based on the technical indicators and charts. If the investor does online stock trading or is interested in intra-day trading, you will fall in love with this app. The app provides the investor information about the stock quotes, technical details of the stock, etc. 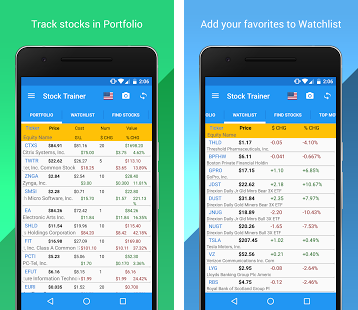 this is one of the best penny stock trading apps available on Android, but the investor needs to have knowledge about the stock market trading. 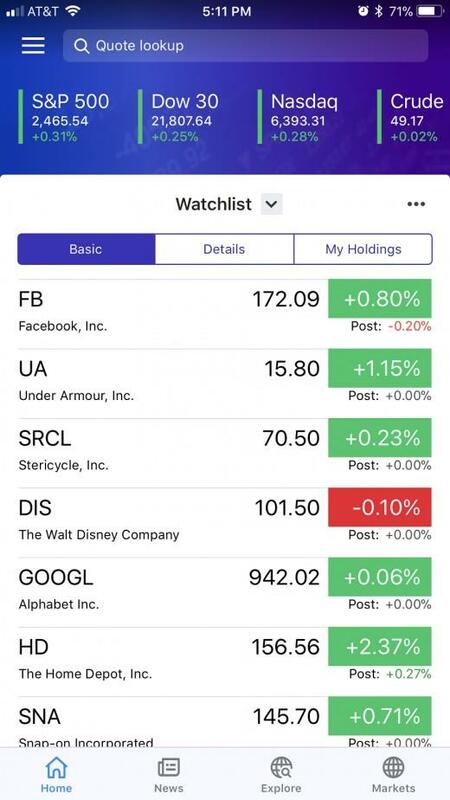 The app doesn't provide you with the fundamental information about the stock nor does it guides you on which stocks to buy. You need to do an exhaustive research and you cannot solely rely on this app. Even if you are riding high on the rally of equity markets, some of the lesser known penny stocks can do wonders for your wealth. Yahoo Finance is a one-stop shop destination to fulfil your finance related queries. 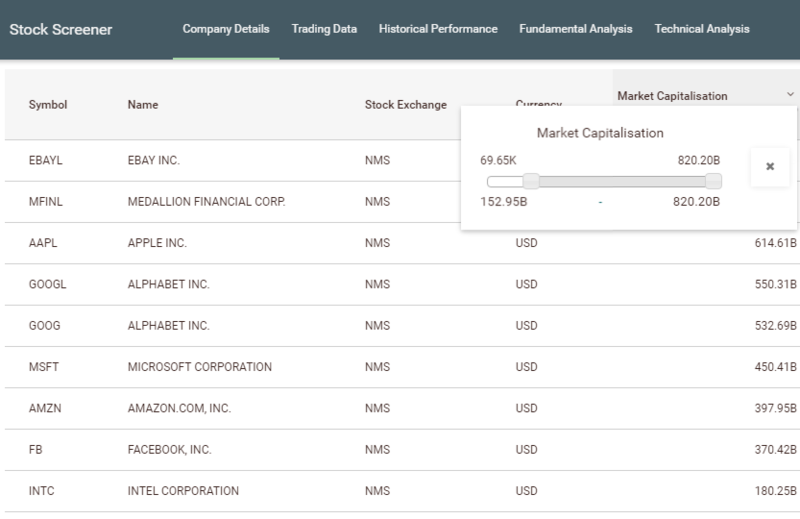 This platform tracks your personal portfolio and helps you to get real-time information on the penny stocks. The app is slow and the new app updates released now are terrible (the app doesn't update the stock price chart). Though the penny stocks can help you earn stupendous returns, the investor needs to study it carefully before investing in them. Your article is really informative and to the point. All the apps mentioned above are best for getting the stock market updates. One more stock market app that I personally think can be a part of this list is Advisorymandi stock market app.